It took me a long time to decide what I wanted to say about the Old Vic production of Sophocles’ Electra, directed by Ian Rickson. My lack of clarity is mostly because I wanted to like it more than I did. It gets many things right, it has integrity, it has a strong character. Still it never caught fire in my imagination. Sophocles’ Electra is a simple story, at least when it comes to plot. Without giving much away, Electra waits for someone, unlike Godot he arrives. Much of the play it’s people describing what happened, either in the distant or recent past. What happened is important to them, to the point of risking their lives and their future. It’s linked to values and the gods and a changing world. At its best it’s ideas grabbing people by the throat. 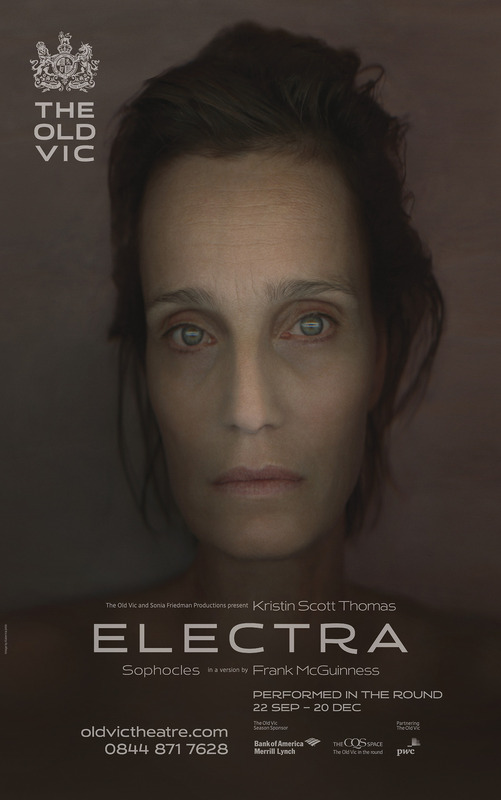 Electra is a complicated character and 2500 years since the play was written have added layers of ambiguity. She is strong and determined, unwavering, fanatical. She is also committed to patriarchical values: she takes her father’s side and defends the values he represents. (Agamemnon – although murdered – is far from an innocent victim. He tricked his wife into sacrificing their daughter, then went to war for ten years and expected that his wife would stay behind and wait for him). Were these values unambiguous for audiences two millenia ago? If so, they aren’t any more. These are the 2013 productions that stuck in my dreams and didn’t want to shift. In strict alphabetical order, because selecting ten for the list was hard enough. American Psycho, Almeida theatre: the energy and clarity of the production juxtaposed with Patrick Bateman’s nihilism made for an unforgettable experience. Hell in pastel colours and blood splatters. And eighties pop songs. Matt Smith plays the absence of a soul magnificently. 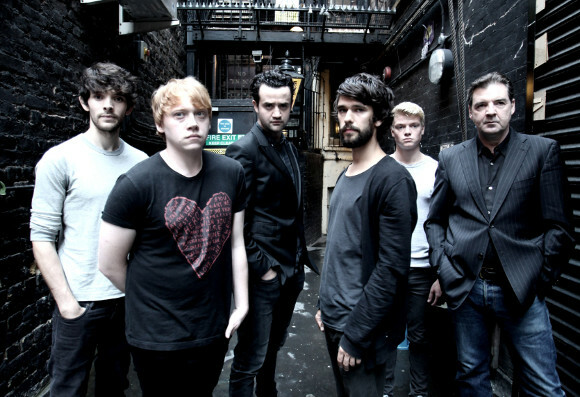 Despite seeing a rehearsed reading of Jez Butterworth’s Mojo in 2006, I didn’t remember much about it before going to see Ian Rickson’s production at the Harold Pinter theatre. Which is just as well, because discovering it in this vibrant full blooded (and occasionally bloodied) production was a real pleasure. Trying to untangle its secrets and pulling at its different threads (its plot, its aesthetic, its language) is a game best enjoyed in the dark. Its backdrop, a 1950s Soho club after hours, is the perfect setting for such an enterprise. “No one else has ever seen it. I ‘ve never shown it to anyone”. Jez Butterworth’s The River is a small jewel of a play, drilling a hole into the lies and truths and uncertainties of love, or that place before love when a look can seal the deal or destroy everything. It’s poetic and a bit magical, and funny enough (in fact very funny at places) to blow away any cobwebs of pretentiousness. This place is real, but it might be the kind of real you never come across in everyday life. 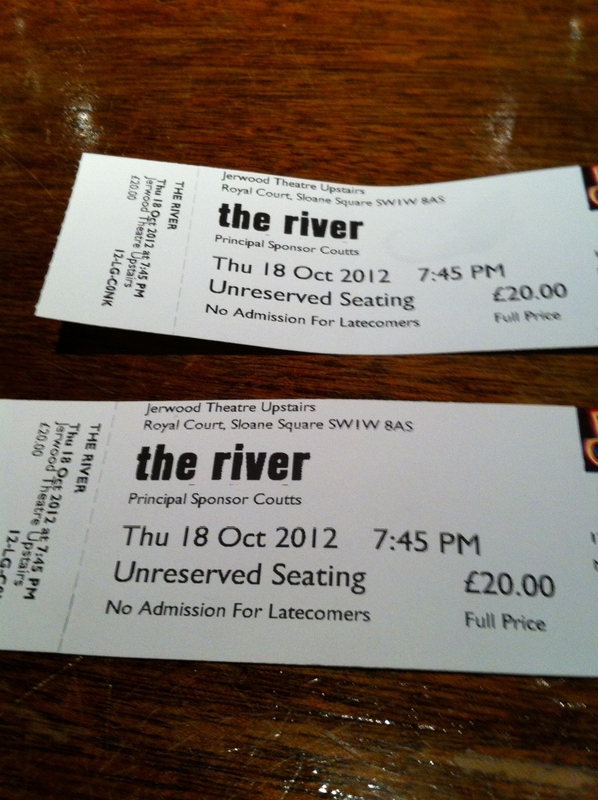 Tonight is the first preview of Jez Butterworth’s The River and we have tickets. No thanks to me as my attempts online were a complete and utter failure, but thanks to revstan who queued at the theatre (she wrote two lovely posts about the experience here and here – everything you wanted to know about the excitement of queuing and never dared to ask). Very few productions deserve a pre performance post. Jez Butterworth’s The River is one of those productions. His next play after Jerusalem was always destined to be an event. But Royal Court left nothing to chance: the production (directed by Ian Rickson, with a cast that includes Miranda Raison and Dominic West no less) plays at the Jerwood theatre upstairs. An 80 seater at the best of times, rumour has it that for this production it’s only 60 seats. Not much larger than someone’s living room. Most crucially tickets can only be purchased on the day of the performance. This decision, which penalises theatregoes who don’t live in London and regular Royal Court audiences, was, in my opinion, at best misguided, at worst cynical. What’s beyond doubt is the controversy it created. Along with the regular complains, discussion focused on the new practice of paid queuing. If Royal Court wanted to give everyone the same chance, you have to consider whether it achieved exactly the opposite. But today these objections don’t matter. Royal Court will be buzzing, very little is known about the play and we are all in for a surprise (one way or another). And I talked about nerves. My nerves that is. It’s the dread and excitement revstan has been talking about. I used to get very nervous going to the theatre. 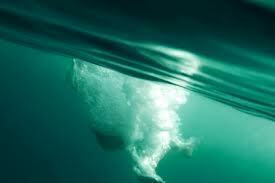 I could envisage myself in the place of the actor when something goes wrong and my heart would pound. I learned to enjoy this, nerves, butterflies and all. Live performance. This is what’s all about. Update 20/10/2012: you can find my review of the production here. 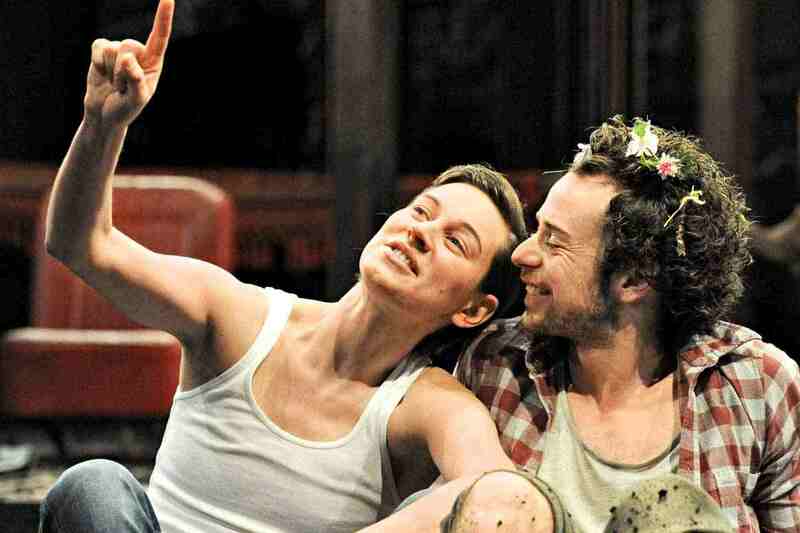 Word is Marianne Elliott will direct Tennessee Williams’ Sweet Bird of Youth for the Old Vic, no news on the cast yet. 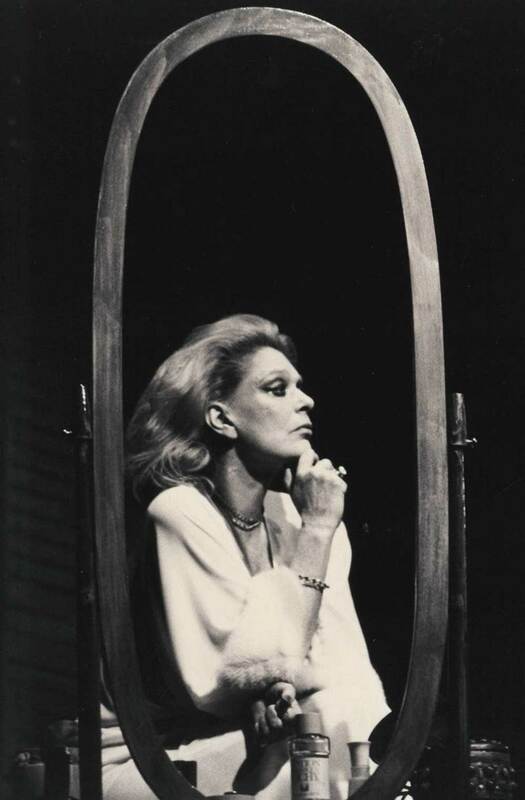 I have never seen the play but my enduring image of it is a black and white photo, Melina Mercouri in a 1979 greek production. The project should attract a first rate and exciting cast. (Update 11/10/2012: Baz Bamigboye of the Daily Mail confirmed the rumour today, with the information that Kim Cattrall will play the lead role). My current theatre obsession is a play and theatre production I haven’t seen: Peter and the Starcatcher went from workshop to off Broadway production to Tony award winning Broadway hit, and indications are strong it will transfer to the West End next. Roger Rees (who developed and co-directed the play in New York) is in London for his one man show What You Will so maybe there will be news soon. A few months back, the Royal Court announced, as part of its upcoming season, the new Jez Butterworth / Ian Rickson play The River, and given that Jerusalem was the last offering from this playwright / director team, the interest was huge. Excitement turned to irritation as it was also announced that no tickets could be purchased in advance (membership booking or otherwise) and all tickets would be purchased on the day. A few days ago, cast was announced for the play with Dominic West, Miranda Raison and Laura Donnelly taking the roles in this intimate three-hander. This production feels like the poisoned chalice to me, as it will be difficult to live up to expectations and the whole business with the tickets didn’t buy a lot of good will (among regular – and paying – theatregoers like myself, the critics obviously don’t care). But if I ever get tickets, I ‘ll tell you what I think of it.